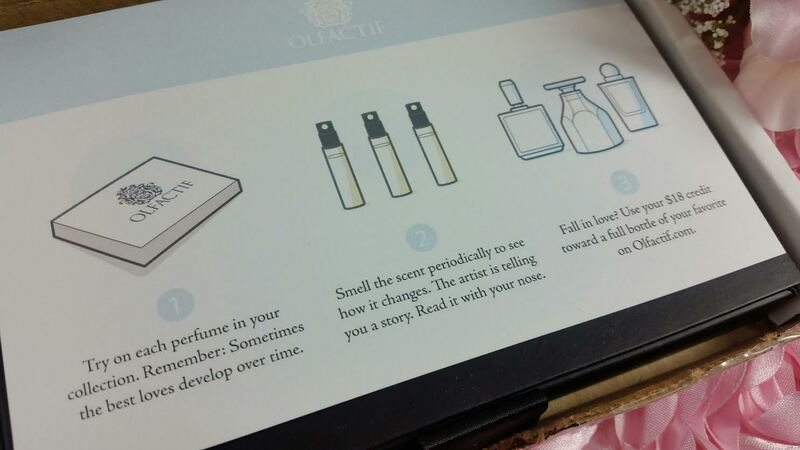 Olfactif Fragrance Subscription Review May 2016 "Chromatherapy"
Each month, Olfactif curators carefully select seasonally appropriate, unisex fragrances. These are premium fragrances that you won't find in a department store or on drugstore shelves. These are unique, high quality perfumes from some of the top noses in the world. The theme for the month is "Chromatherapy" and showcases perfumes that make you think of a color. Specifically? Green and shades of yellow. Let's see! 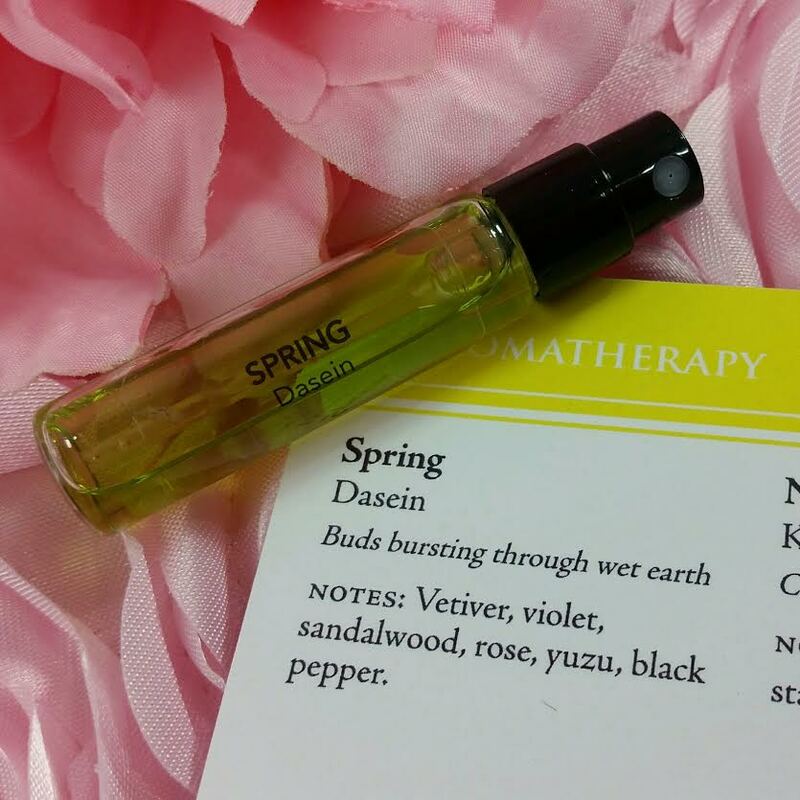 Dasein Spring- Notes of vetiver, violet, sandalwood, rose, yuzu and black pepper. This was too... masculine for me. Plus I'm not a fan of vetiver since it seems to give me a headache pretty regularly. I also have noticed anything with violets tends to head to my 'dislike' list. So while this did give me a whiff of green grass earthiness, it didn't last long enough for me to wear it. I had to wash it off due to the vetiver. Kelly & Jones Notes of Sauvignon Blanc- Notes of yuzu, grapefruit, starfruit, green apple and camellia. Based on the notes, this seems like perfume I would like. And I did although it went kind of plasticy somewhere in the middle. 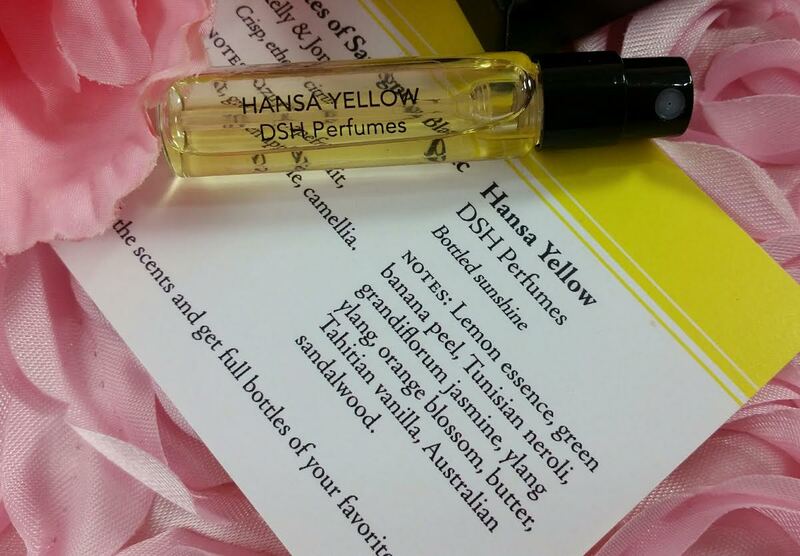 DSH Perfumes Hansa Yellow- A friuty-floral-gourmand, Hansa Yellow is the epitome of sunshine. This one has lemon essence, green banana peel, Tunisian neroli, jasmine, ylang ylang, orange blossom, vanilla and sandalwood. I also didn't care for this one. It reminded me a lot of the Dasein Spring with the scent feeling scratchy in my nose. I probably should not be testing fragrances when I'm on the cusp of a migraine. Darn it! I think it's ruining things for me! VERDICT: As you can see these perfumes have several similar notes. I was not particularly fond of any of them. Of the three, the Kelly & Jones was my favorite as it seemed a lot lighter than the others. They're all quite unisex, though, and my husband liked the Dasein Spring. It gave me a headache. 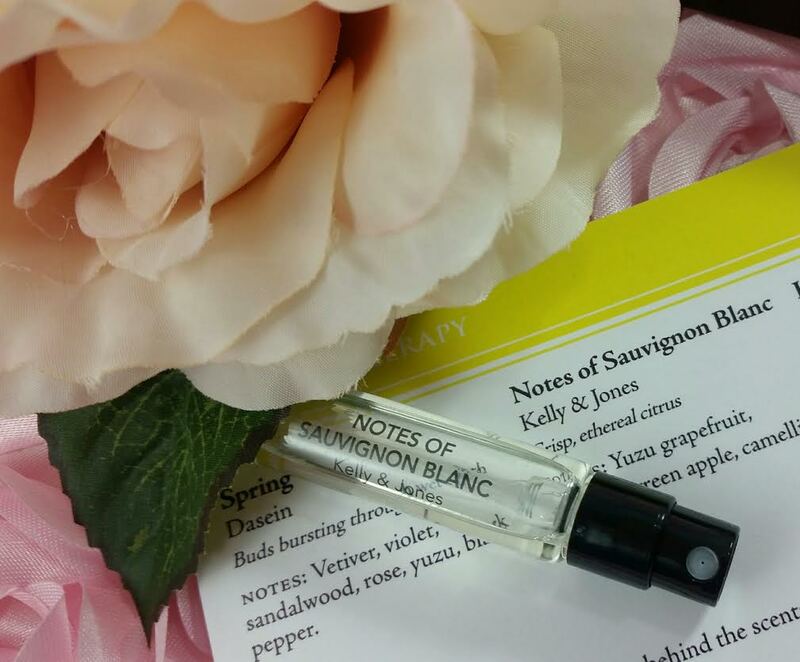 I do have to admit that I've never really been too fond of "spring" scents to begin with. They tend to go too floral (although that wasn't a problem here) and I much prefer spicy. If you would like to sign up for Olfactif, you can do that here. Try using MOM16 on a 3 month or longer subscription for 15% off. 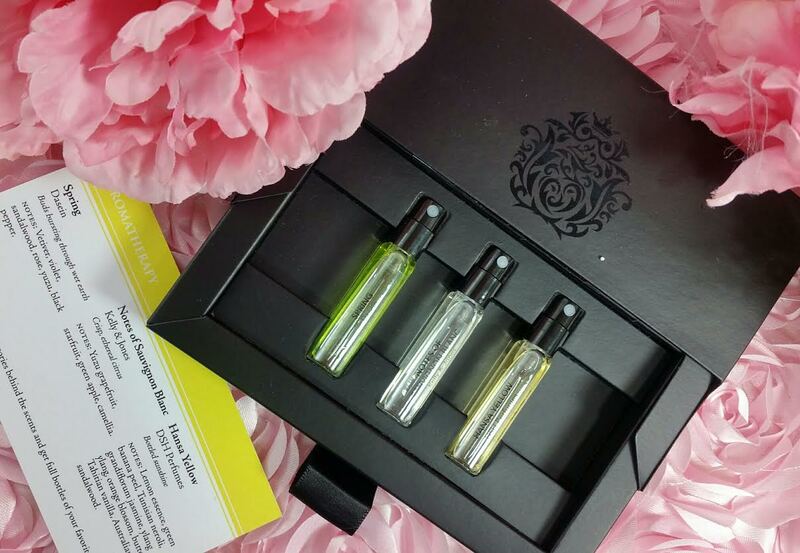 Don't forget that if you decide to purchase one of the featured perfumes, the cost of the subscription is refunded as a credit on your purchase. You will receive the code via email. *This month was sent complimentary for review purposes. All opinions are mine.